but occasionally, apa salahnya kan? OK, then, ﻿masa wedding Zaida pun rasa nak cantik sikit, so went to MAC (again!!) utk make up...it's quite expensive jugak if make-up only (RM180) so we took the option to buy products worth RM250 to get free make up! at least dapat barang kan? 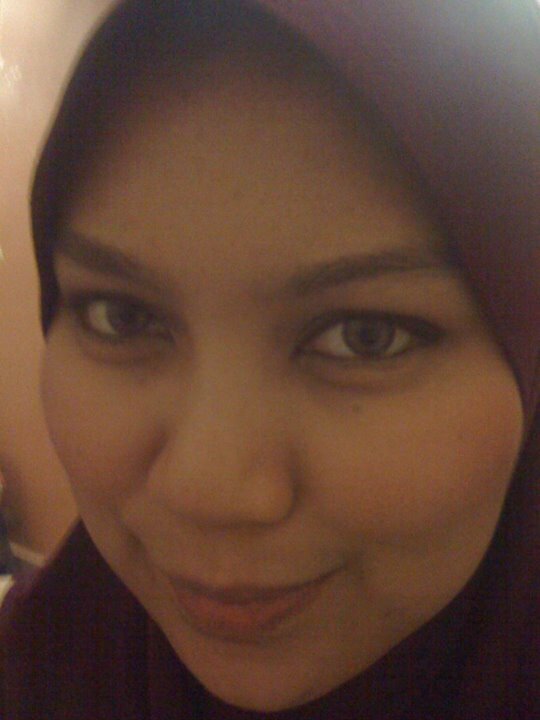 I LOVEEE the gel eyeliner and MAC pencil eyeliner...it's a must try for all of u out there! partner in crime: Nynna ;) - cantik make up Nynna they made smoky eyes on her using dark purple shades n pink! they use combination of green shades for my eyes and SHU UEMURA fabulous liquid eyeliner! make-up mcm mana pun, bekas jerawat is almost impossible nk hilang k..
tapi alhamdulillah, these past 5 months, mmg jarang sekali I have acne, just small pimples occasionally ..
thanks to PB and Lactolite of course! and also my trusted skincare, Kiehls!